Gas prices are on the rise throughout the Southland. 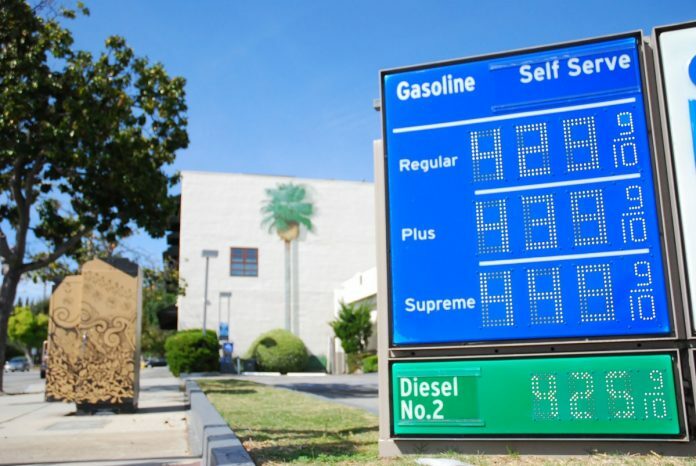 Increases have pushed the cost of gas on average alarmingly to over $4 per gallon in Los Angeles County. Six of those refineries in Southern California have also undergone both planned and unplanned maintenance, factoring into the meteoric rise in prices for gasoline. The spike in prices are expected to continue throughout the spring as Memorial Day approaches. More alarming for motorists is for the first time since 2014, the cost went to more than $5 per gallon at one station in Echo Park, according to GasBuddy.com. It’s a painful sight for many as they see prices skyrocket at the pump. On average, drivers are paying $4.30 per gallon on gas in L.A. County, $4 in Orange County and $3.96 in the Inland Empire. Gas Buddy suggests filling tanks Monday morning, the day prices are the lowest on average. Friday, according to the app, is the worst day, around 5 or 6 p.m. heading into the weekend.